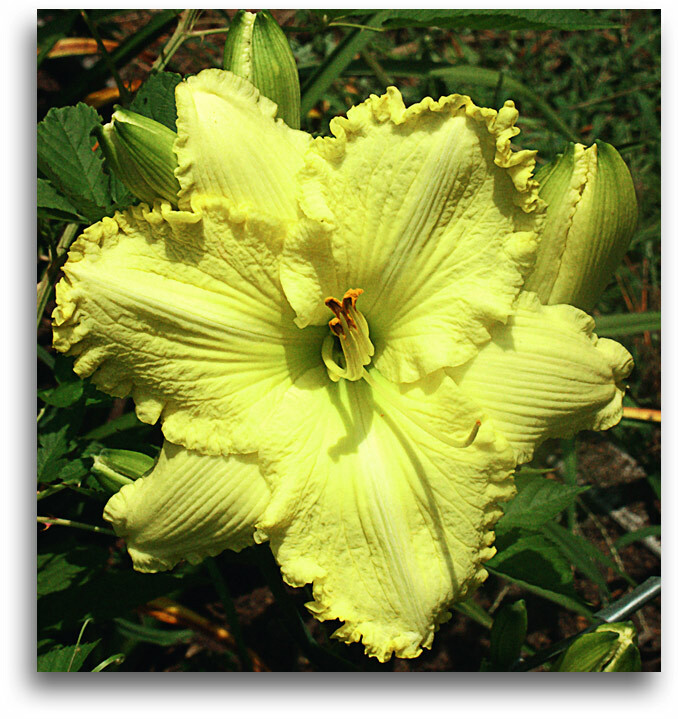 Beautiful greenish lemon-yellow color is the hallmark of this big, heavy-textured daylily. The large flowers are held on strong, widely branched scapes. It sets seeds easily and passes its great color, ruffling, size and flat form to its offspring. Thank you, Van Sellers, for Brazilian Emerald, the parent that gave this its awesome color. Flaws: Needs reasonably good soil fertility and plenty of water to do its thing. Not really flaws, but not totally Mercer daylily-like in performance. 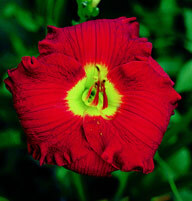 Exceptional qualities: Excellent color, flower size and branching.